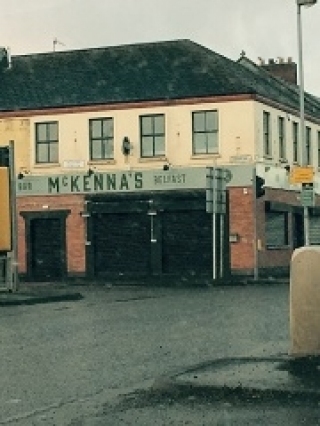 McKenna's Bar (formally McMahon's Bar and The Clarendon) is found on the corner of Dock Street and Garmoyle Street. Have you got Google Earth on your computer? If so, then download the Google Earth view of McKenna's Bar. Is this the wrong position for McKenna's Bar? If you think so, then modify its position. Click / Tap the button above to get directions from where you are to McKenna's Bar. Great bar with real musicians. My big band was very impressed with the friendly staff and wholesome food.